I read a lot of ebooks on my iPad; it’s actually replaced my beloved Kindle. However, there are so many different ebook apps available for the iPad that it can be tough to sort them all out. In this roundup I’ve included the 10 best free iPad ebook apps. Hopefully these apps will make your reading experience on the iPad as relaxing and fun as possible. 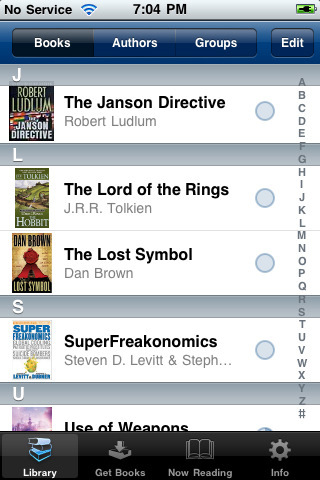 Bookman is a reader that includes a bookshelf function that lets you organize your books by category. 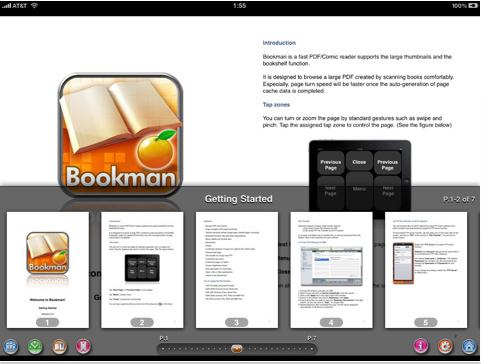 Bookman supports the PDF, CBR, CBZ formats, and it also provides support for RAR and ZIP archived PNG, JPG and BMP files. The app also lets you transfer folders and files via FTP using Wi-Fi. 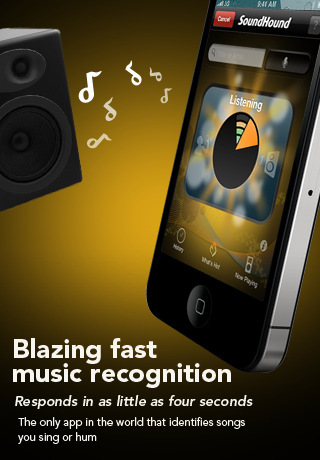 You can customize page turn effects, control screen brightness and customize tap zones. Ebook Reader works with ebooks.com. You can get free classics or you can purchase the latest NY Times bestseller. You can sync your ebooks.com bookshelf with your Apple devices, and if you get a new device you can download your books onto the new device. You can also sample books before buying them. 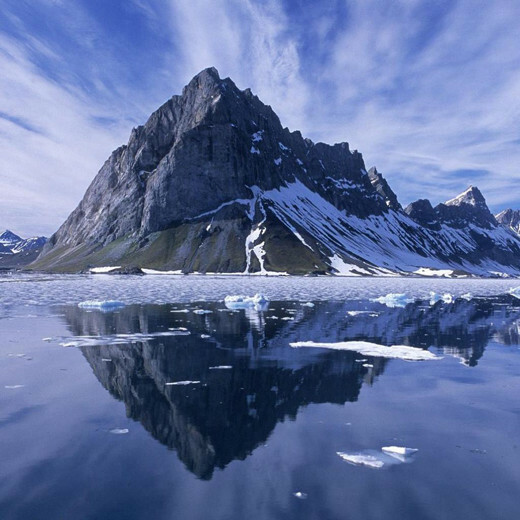 The app lets you turn pages with a swipe, zoom with a pinch and lock your preferred orientation (landscape or portrait). You can also adjust font sizes and opt for night-reading mode to ease strain on your eyes. Barnes and Noble is one of the biggest booksellers on the planet, and this app gives you access to a huge range of B&N books. 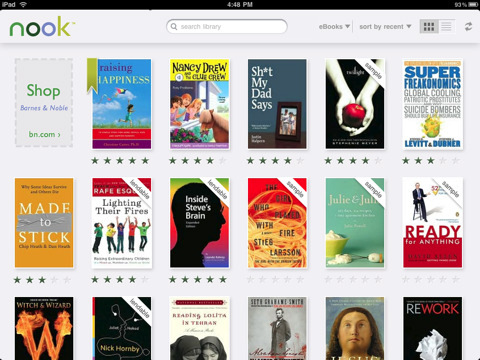 The app has been named “NOOK” after Barnes & Noble’s stand-alone ereader device. One of the neat things about NOOK for iPad is that it includes B&N’s “LendMe” technology. You can share books with others that you know who use NOOK for iPad or who use the NOOK stand-alone ereader device. 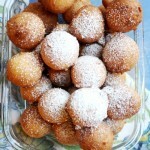 You can also download samples before buying an ebook, get free classics, and use themes. NOOK for iPad also lets you adjust font sizes, swipe to turn pages, synchronize notes/highlights/current page, and it features a built-in Merriam-Webster dictionary. 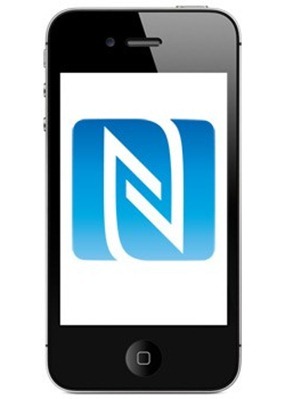 NOOK is also available for some smart phones; if your phone is one of them then you should be able to sync across your phone and iPad. Cloud Readers is an ideal application to view PDF, CBZ, CBR, ZIP and RAR format files. You can switch between western-style and eastern-style reading. You annotate PDF and comic files, add tags for your books, and transfer files via USB cable. It also comes with a “cloud bookshelf” that lets you download free public domain books and comic books. 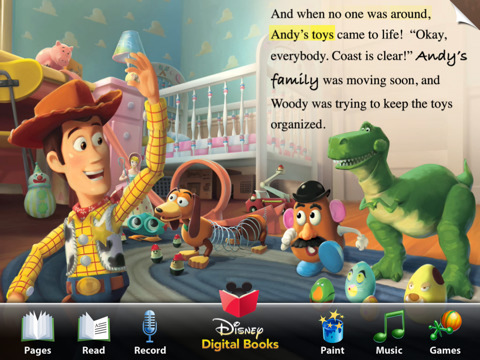 Toy Story Read-Along is a great ebook app for children. It features games, movie clips, coloring pages, sing-along tunes and other kiddy attractions. Your kids can even hear the story being read aloud to them. 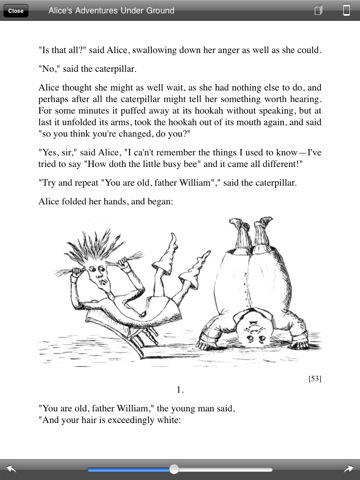 This app is unique in that it only contains one story, but it adds a lot of other things to create a very unique ereading experience. Some of the features in it might be harbingers of things to come in other ebook readers. 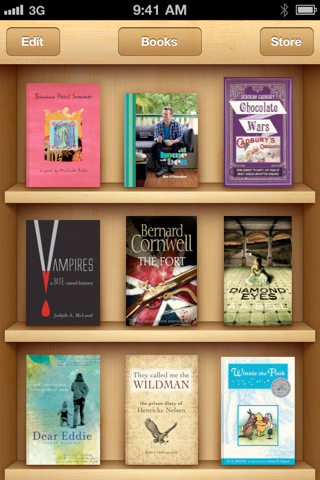 It’s worth checking out if you have kids, or if you just want to see what a super-slick ereader app looks like. 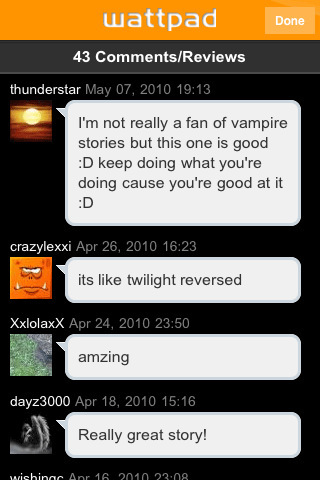 Wattpad is a unique ebook app that brings community to the reading experience. All of the books are free, and you can view ebooks by category or search for them. Categories include Featured Works, Publisher Spotlight, Science Fiction, Romance and others. You can save the ones you like to your library, and you can opt to watch video trailers for ebooks. You can also share your finds on Facebook, Twitter or via email, and you can vote or post comments about books. If you’re looking for something different, and a community-oriented reading experience then be sure to try Wattpad. Free Books provides just what its title suggests free books, and a lot of them at that! There are 23,469 ebooks included with this app. You’ll find books by Shakespeare, Ben Franklin, Sun Tzu, among many others. The selection is absolutely enormous and will provide many, many hours of reading delight for you. If you love to read, then this is pretty much a must-have app for your iPad. 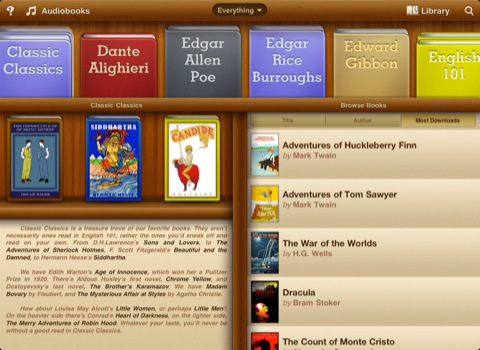 Stanza is one of the most popular ebook apps of all time for the iPhone and iPad. You can buy new books (approximately 50,000 are available) or you can download many free classics from Project Gutenberg, Feedbooks and other sources. 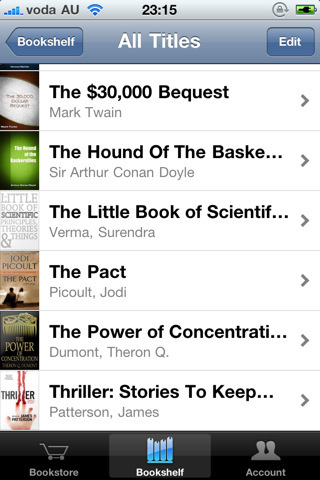 You can also transfer your own books in ePub, PDF, CBR & CBZ, and eReader formats via iTunes. You can change fonts & font sizes, use a night theme, add a background image, and search books. If you’re a technical professional then you’ll love being able to buy O’Reilly’s excellent technical books from within the Stanza application. Even if you have other ebook apps on your iPad, I highly recommend installing Stanza too; it’s well worth a download. 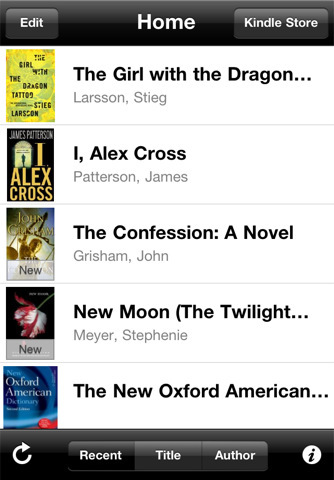 There’s no denying that Apple’s iBooks app is a powerful presence among ebook apps. The iBooks store has many new books to buy, as well as a selection of classics to download for free. The iBooks app itself is super-slick, even the page turning animation is quite pretty. You can opt to read in landscape or portrait mode, and the landscape mode will split the book into two pages (quite similar to reading a print book). Newer books such as “Nixonland” also feature embedded videos and audio, thus adding additional value to such ebooks. The Amazon Kindle app arguably provides access to one of the widest selections of ebooks on the planet; at last count the total was more than 630,000 ebooks. You can get everything from the latest NY Times bestsellers to free classics in the Kindle store. You can also tap and hold a word to get a definition, and you can use the Google and Wikipedia links to get more information. Amazon Kindle for iPad also syncs across your various devices, including some non-Apple devices. You can read in portrait or landscape mode, and you can add notes or highlights in your ebooks. You can also pinch to zoom in on images in your books.